Throughout this project I have thought that watching the movies was relaxing because we got to eat snacks and candy. I think watching the movies was kind of fun but doing the blog was at times a huge pain in the rear end, especially when you have to do many at same times when you have forgot to do several of them (this is your own fault of course.) I think that it has been interesting to see these different kind of classical movies because I am personally interested about movies and like to watch different kind of movies. I think my ideas of good movies ranged a little bit from where it used to be. I think I also got some more respect for the western movies that I didnt really like before this project but now I think that they are ok and it is interesting to watch them because they tell about history. I think that even though this term has been quite interesting I would like to do something else next term, maybe something about the real MEDIA and paparazzis taking pictures and all that. I think that the movies were in average good but some of them really honestly sucked like the Swedish movie, Songs from the second floor because of the bad idea and plot and poor making of the movie. I still prefer media as one of my most liked subjects because of the differency that it provides if you compare it to another ordinary subject in school. The MYP question for this projects term: What makes a film classical? is the one I shall be answering right now has many different views on it and has a very wide range of different kind of answers for it. I think that a classical movie is one that is old (like over 50 years old from the modern time) and is still being watched even by the young people. 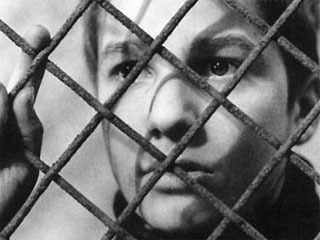 A classical movie should be respected and usually maybe relates to history in a way. I think that usually always a classical movie is a western movie or a romance movie. 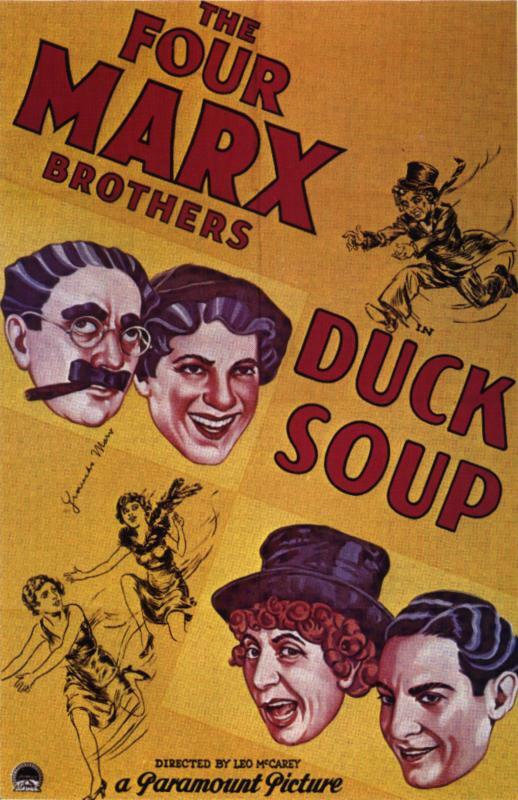 Also comedy movies can be classical. Comedy movies maybe can not be called classical movies because their lack of seriousness but I still like to think that the ihmefilmi films that we watched that were comedies are classical movies due to the respect they have got from watchers and the critics opinion of them. I think that one movie that you can not think to be a classical movie is the movie Songs from the second floor because me and all my classmates hated that movie. Classical movies are the ones that get you thinking and wondering about your past and the history and get you fascinated from the ideas of the movie. This movie we went to watch yesterday and it was made in 1977 by Risto Jarva in Finland. I think I had more interest for this movie because of it being in Finnish and of course you want to watch a movie that is made in your home country rather then in Sweden or French. 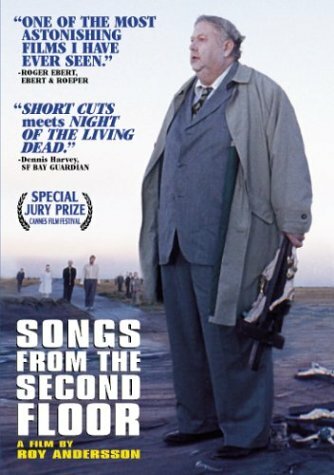 This movie had only one main character Kaarlo Vatanen (Antti Litja) but even having one main character it did not make the movie worse because he did such a good job in acting. Vatanen works in a deodorant agency and his work is critizcised by his boss and Vatanen is anyway out of money. He decides to go to a working trip to Jyväskylä and on the way they hit a bunny and he decides to take it and start to live a new life with that bunny. When he gets home his bitching wife is complaining about the unpayed rents and bills and all. Vatanens view on life is that he can not live a free life because of all he does and what he hasnt done are always stored somewhere. So he goes to a place that store all the personal information on people and he erases all with the name of Vatanen. After this he decides to go to Rovaniemi but he has too much drink and doesnt remember a thing and is soon engaged with some random woman. He ends up in jail and after a short trip there he breaks out. 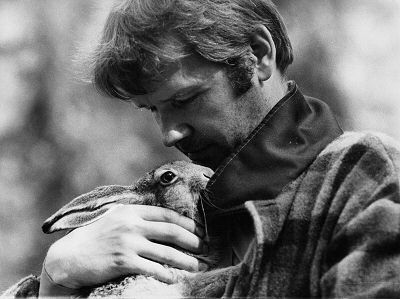 It was a quite funny movie especially in the parts where the guide came to the forest and Vatanen didnt like that so he started saying these normal things he was and the guide get mads it was very funny. It was a good movie and the actor did a very good job in acting. From 1-10 I would give this movie a 7. It also had a very catchy theme song to it that all of our class boys started clapping their hands together to, this probably made it hard for others to watch but it was a very catchy song. The genre, I think must of been drama. 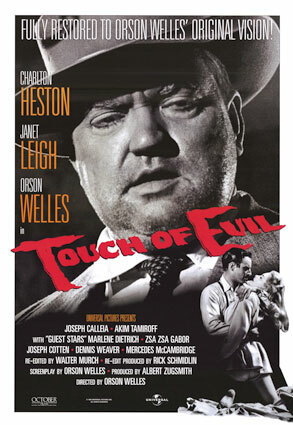 This was the next movie and unfortunetly we had missed a movie in between, Singing in the rain; but anyhow on modnday 12.10 we went to watch a movie called Touch of Evil by Orson Welles (USA) in 1958. . The main actors in this film were Orson Welles as Quinlan, Charlton Heston as Vargas, Janet Leigh as Susan Vargas, and Joseph Calleia as Vargas’s and Quinlans accomplice. 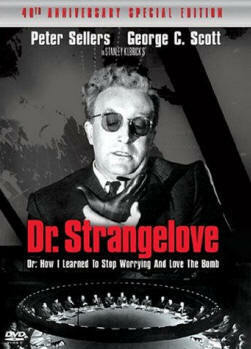 This movie tells about a man named Vargas who is called into investigate an explosion that happened. It turns out that the Mexicans are behind this and will do everything in their power from not to get caught.While Vargas is investigating the motel that Susan stays is taken over by a group of gang members, members of the Grande family which Vargas is fighting against. The gang members drug and kidnap Susan, and take her to Grande’s other motel, where Quinlan strangles Grande and frames Susie Vargas for the murder in order to ruin her husband. When Vargas returns to the motel and discoveres that Susie and Vargas’ gun was gone, Vargas goes to the Grande’s other motel and confronts the young gang punks who attacked his wife in a desperate attempt to learn of Susie’s location. When the punks refuse to answer him, Vargas beats them up, one at a time. Vargas soon learns that Susie is in the jail. Vargas has no proof that his wife did not commit the murder. Quinlan admits to menzies that he did frame some people and then shoots him, but it doesnt kill menzies, Quinlan is now ready to shoot Vargas, but menzies shoots Quinlan before he shoots Vargas. The movie ends with Vargas leaving town with his wife Susan. The genre of this movie was a mysteric action film because of the fact that you had to and it was almost impossible not to think about how the movie was going to end and you would have to understand it yourself. I think mostly the only good actor was Vargas because of his good acting skills and he was the only realistic actor, even though he did use at times too raw methods to get information out of his rivarlies. The movie though did have some unnecessary boring parts but the beginning was good when the bomb exploded because the camera men did a good job, but in general the movie was all over the place. I would say this movie should be recommended to over 30 year olds who like boring movies. From 1-10 I would give this movie a 4-. 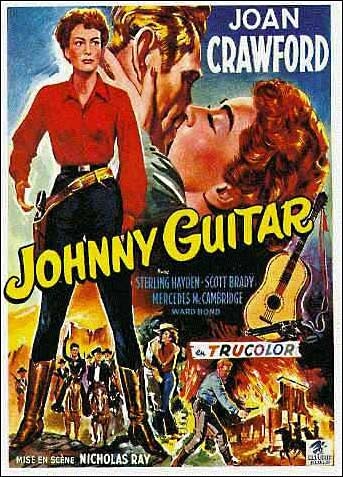 On monday 21.9 we went to watch this movie called Johnny Guitar and it was made in 1954 (USA) by Nicholas Ray. The main actors were Joan Crawford as Vienna, Sterling Hayden as Johnny Guitar, Scott Brady as the “Dancin Kid”, and Mercedes McCambridge as Emma. This was just one of those average western movies that you would definetly not want to see on your free time (at least in this age), even though it had a decent plot it couldve been made into more exciting. The movie tells about a little town near Arizona where a gone crazy and also aggressive saloon keeper who is all about business called Vienna keeps her saloon and is waiting for the rail road to be built near the town because of the little amount of people visiting her saloon and this rail road would bring more people and so she could get more profits. The bad thing about this is that the town people dont like this because they dont want more tourists and they like the town as how it is and dont want it to be modernized. Vienna is a close friend with the dancing kid so is suspected in helping him do criminal activities and an old lover of Viennas comes to her saloon, Johnny Guitar who at least in the beginning seems to be a gentleman and has feelings for Vienna still. A few days pass and the dancing kid robs a bank. The townspeople, which is led by Emma suspect that Vienna is a part of it because she was at the bank at the same time, so they burn down Vienna’s saloon. Johnny and Vienna run to the dancing kids hideout. Emma and the citizens soon find out about their wereabouts and this leads in a duel and the final result was that Vienna shot Emma and Johnny and Vienna escaped the town in search for better days and a more brighter future. The film didnt affect me in any ways, the only way it affected me was I got a little bit freaked out on Vienna because she seemed like such a sharp lady that you do not want to mess with. The actors did a really good job especially Vienna and Johnny. It could be improved by showing a little bit of Johnnys and Viennas future so there wouldnt be a huge question mark after watching that movie that what happened to them and do they die etc. The film was ok but it had too many boring parts and conversations. From a scale of 1-10 I would give this movie a 5. 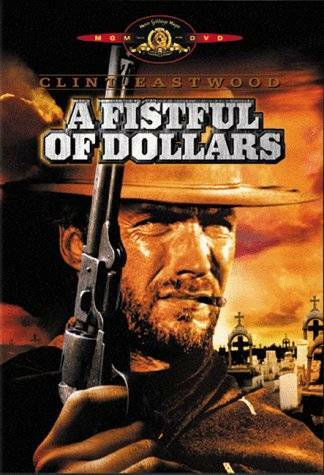 On monday 14.9 we went to watch this old classic western movie, a fistfull of dollars. 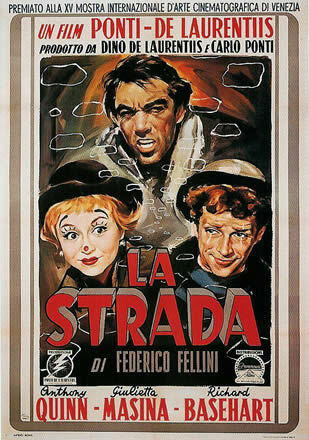 It was made by Sergio Leone in 1964 (Italy). I was very excited to watch this movie right off the bat due to the fact that Clint Eastwood acts in it and he is one of the worlds most respected actors and directors and I am also a fan of his great acting and movies. This movie had also some other great and popular actors such as Gian Maria Volontè, Marianne Koch, Wolfgang Lukschy, José Calvo and Joseph Egger. The audience is to any group of people who like violence or these old western films, but I think mainly this movie is for the older people because of the sometimes too historical and boring moments. This movie begins with the man with no name coming into a Mexican town called San Miguel. Quickly he is informed of the 2 mafia families that are definetly not friends with each other, and Joe wants to make a little bit of money so he thinks that he can use this two mafiaso families and work for them. When he gets caught for his criminal activities aganist the other parties enemy he is going to be tortured but escapes with the help of a coffin maker. It turns out that out of the two families, Rojos and Baxters the strongest family was Rojo because after a fight it was the last mafia family left standing. After escaping Joe decides to go back to San Miguel in a devistating duel aganist the Rojos, killing their boss Ramon. When killing many of their people he saves his friend. It was one of the most exciting duels i have ever seen in these western films, and usually the western films are just plain and boring but this one has been the best one yet. The genre of this movie was action. The film did not affect me anyway but maybe just improved my knowledge of a little bit of history and learning how raw people got when it came to business at that time period. I think this is the best one we had seen yet at that point and the actor, Clint Eastwood did a great job again (suprise, suprise). I think that it was ok but it couldve been a little bit more exciting at some parts and maybe even a little bit more action. The plot was good and it made sense.